Below is a blog post I wrote when Whitney died. Oddly enough, when I hear her voice, she still seems alive. Art is where human creativity, skill and imagination all meet and create a moment in time which is beautiful and beyond ordinary. Ordinary things take on new meaning. An artist is not separate from his or her art. The work of the artist is inextricably him or herself, the acceptance, adoration, and love shown towards the art form feeds creative cells that, in turn, nourish and mutliply. This dynamic can be therapeutic and invigorating for everyone who experiences it – including the artist. 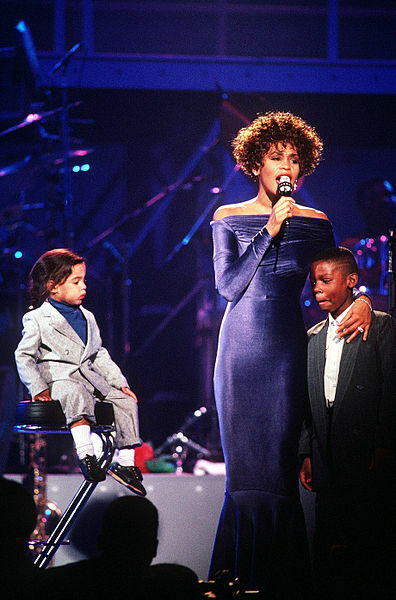 Today family and fans are still mourning the loss of Whitney Houston. Especially after the death of Bobby Kristina. Some people have seemingly rediscovered her extraordinary talent and success in the 80’s and 90’s, the skill behind her extended notes and talent lingering in her sultry pauses. Still, many people seem to be preoccupied with details of her death, her history and public battle with drugs. Thousands of articles are popping up daily discussing whether or not she wasted her gift, her talent, her life. She, along with other recent public losses such as Joe Paterno and Don Cornelius, leave a mixed legacy. I wanted to take one moment in time and celebrate her rich legacy and accomplishments. Every time I hear her voice, it speaks life – even though she has passed on. I wrote this as a tribute to and an example of success. This is part of a series about real-life leaders, both personal and professional, emerging and accomplished, that will share their own testimonies of success and commitment to excellence. In explicit detail, these Tru Story guests will document the every day contributions to their own journey.